The Poland and Nigeria friendly has come and gone but some lessons were learnt from the quiet keenly-contested tie played at the Municipal Stadium in Wroclaw. Bounce Sports makes a pick of five things learnt from the 'Battle of Eagles' in which the Super Eagles prevailed over the White Eagles. Varying opinions have been expressed amongst football faithful around the world on the effectiveness or otherwise of the Video Assistant Referees, VAR. With how Friday's game panned out, the need for extraordinary eyes on and off the pitch looks plausible. Poland seemed to be denied of a valid goal after a late clearance by Leon Balogun and it also looked liked Victor Moses tricked referee Michael Oliver to award a penalty kick. That shows that VAR which will be in use at the World Cup will be a welcomed idea to eliminate all form of human error. 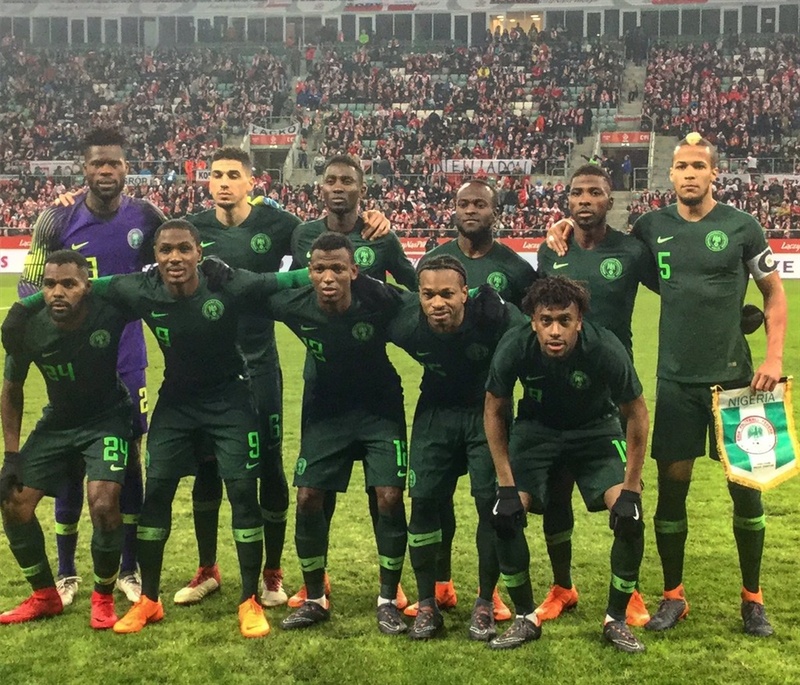 Though it is often said that African teams are physical in their game, Nigeria in the past years are usually exempted as the Super Eagles often prefer to play fair. However, with a German-born coach at the helm of affairs, the Super Eagles seem to have more nerves to play ugly if neccessary. Friday's friendly was one of constant tackling and fouling and the Super Eagles matched their hosts pound-for-pound. The match produced 33 fouls, 18 suffered by Poland and 15 for Nigeria. The Super Eagles showed that they were not pushovers. They put in tackles and went for balls in the air. The only time the Eagles were in real danger of conceding a goal was when the Poles had set pieces. Twice Artur Jedrzejczyk got on the end of crosses but could not direct his header. Uzoho made one brave save while the other bounced and cleared off the crossbar. Shehu Abdullahi and Brian Idowu also tried to compensate for runners in behind them by fouling before the box – on another day the Eagles could have been punished severely. Hopefully, this would be sorted out before the opening game against Croatia at the World Cup. The 19-year-old goalkeeper was quite jittery when the game kicked off even though Poland did nothing attacking wise in the first five minutes. When the attacks came, Uzoho was caught undecided in making swift decisions but as the game progressed, his confidence grew and he communicated more effectively with his Oyinbo Wall. With more game time, Uzoho should get more experience and confidence but whether it will be enough to boldly face the likes of Lionel Messi at the World Cup is yet to be seen. There is no gainsaying that the Super Eagles missed their inspirational captain, John Obi Mikel against Poland a great deal on Friday. The Super Eagles midfield was quite uncoordinated with the absence of Mikel. Mikel indeed brings a lot to the table when he is wearing the Green and White Jersey. His composure and calmness were missing as the Super Eagles failed to take control of the game. It was not surprisng when Rohr said this at his post match confernce.
" The lack of Mikel was visible, we had a lot of problems in the middle of the field... I must emphasize that I am waiting for him (Mikel) in the next games. At the World Cup he will be necessary for us.'' the Super Eagles coach said.